Restorative dentistry refers to the restoration of natural teeth that have been damaged by accident, decay or disease. At Howard Silver DDS, we offer the latest in restorative treatments and technologies to help restore your smile back to health and function. Our state-of-the-art technology allows us to restore your smile back to its natural form and function using CEREC® technology. CEREC® computer restorations allows us to create restorations such as inlays, onlays and crowns in a single-visit unlike traditional tooth reconstruction that requires at least two or three visits. Now, with CEREC® technology, the whole procedure takes place in one office appointment. And best yet there is no goop, no temporaries, no metal, no waiting. 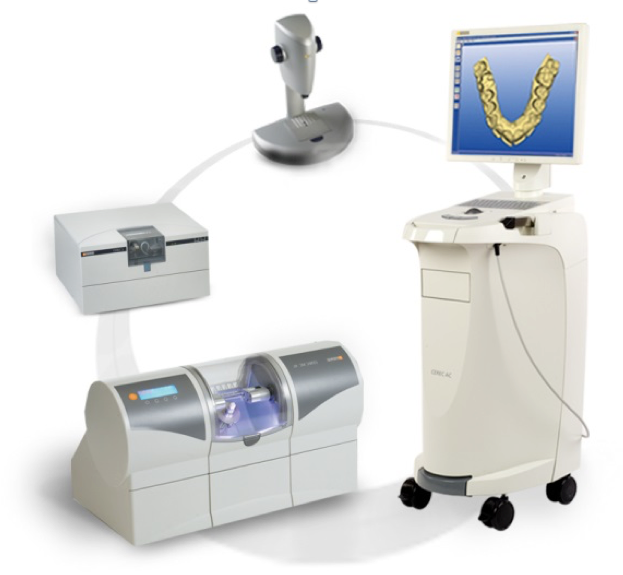 Using CEREC® technology, we use a special electronic camera to take an optical impression of your prepared tooth. The image appears on a computer screen, which allows you to view the process in action. The restoration is then designed from a three-dimensional scan and custom-made from a porcelain block right in our office. CEREC® restorations are extremely accurate and perfectly formed. The Waterlase dental laser is an efficient way to restore your teeth to their health and function less invasively and with greater precision and accuracy. The Waterlase dental laser can make treatment virtually pain-free including cavity preparation, caries (decay) removal, tooth etching, and a wide range of soft tissue (gum) procedures. With the Waterlase dental laser, there is no heat or vibration in your mouth, no drilling noises, or over-heating of your teeth—improving your comfort in the dental chair. We are accepting new patients. Our office is conveniently located in Pittsford, NY. Dr. Howard Silver is a cosmetic and restorative dentist and is accepting new smiles from the Rochester area. Copyright © 2015 Howard Silver DDS.